If you err you face the consequence. And when the highest court of law in a country sentences an individual, the person ought to humbly accept. Period. So should it be. But the emotional vortex the verdicts unleash within the loved ones of the affected unsettling their lives is indescribable. So is it with all the number of people convicted in the 1993 Bombay blasts, including actor Sanjay Dutt. But when a celebrity is punished, the national interest it generates is immense. Unfortunately, it can be more harmful for the family than the jail term for the individual. Petitions seeking Dutt’s pardon are forwarded to the competent authorities; movers and shakers are all over social media voicing their solidarity, an ex-Supreme Court judge has taken his plea to the highest office, not to mention his innumerable fans who pray and fast and curse… all citing that he has suffered enough. Why? Why such hallabaloo even after the actor has announced he will surrender on April 18. He’s being a man. Let’s not be hypothetical in our attack or support. Give him a chance by respecting his decision. He owes it to his children, for Pete’s sake! Imagine all these hateful words of defamation, sympathetic display of support and zooming close-ups of him at his most vulnerable moments documented for posterity! If at all anyone cares to continue speaking about Sanjay Dutt, they should do it for his family. For his two innocent toddlers who are unaware of what’s happening around. For his wife, the woman who needs to carry on each day without support and worse still protecting her children from the current media glare and upholding their dad’s stature. This is a stigma the kids will carry, irrespective of whether Dutt serves the remainder of his jail term or receives a pardon. A pedigree tainted by prison records! The fact that Dutt’s name is taken in congruence with the 1993 blasts, even when the Supreme Court has acquitted him of terror charges, convicting him only for illegal possession of arms, is pathetic. No punishment is bigger than one’s inability of being there for their children. 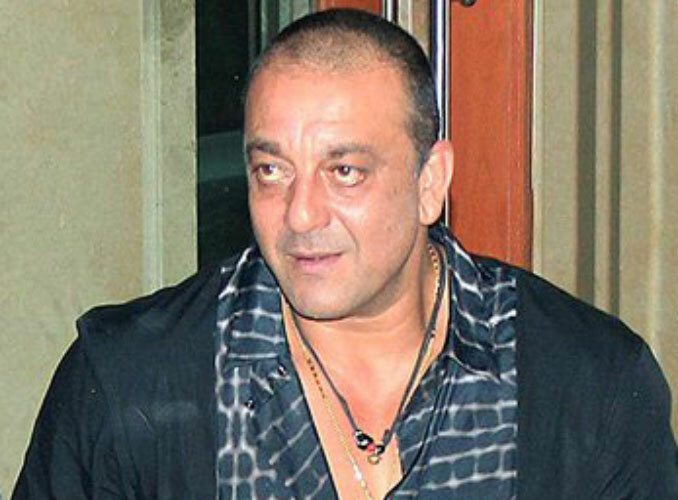 Media reports allege that Sanjay Dutt cannot travel to countries that deny visas for the convicted, which includes the US, where his eldest child lives. But at least she is witness to the happenings and old enough to sieve through the interpretations. Imagine the two toddlers, who will have to do it on documented information when they grow up. Time is a great healer. For all you know, Dutt will walk out a hero! He has done it on previous occasions. Pray he does it again – this time for his kids! Ashwin Pillai says…. Well written Nisha Sanjeev , as you rightly put it, sanjay dutt is likely to emerge as a hero if he accepts his responsibilty and serves his sentence. Praveen Gupta says… What about those who perished in Mumbai serial bomb blast and can never meet their kids. If public prosecutor is to be believed, this so called Munnabhai had the info of upcoming blasts and if he wanted, hundreds of innocent lives would have been saved. I wonder, why we allow glamour world overtake our senses and more importantly conscience…. Sorry! Nisha, for the first time, I have to disagree with you on this one. No sympathy for this moron. Mini Shivakumar Menon says…. Nisha, the family can come and visit him, can't they? As shallow as it sounds, money and power go a long way in easing pain. Think about people who don't have even those privileges… And kids who lost their parents in the blast. Was in Mumbai at the time, and it was time I would never want to see again. Praveen Gupta says …. @Nisha, that is the cost of stardom. Everything comes at a price. They say, "getting there is easier than staying there". Once you are a celebrity, you need to be extremely carefully about your deeds or at least what comes out in the public. This guy is consistent in giving mental pains to his family members right from the beginning. Be it drugs, arms, scandals and what have you…….time to reap what you sow….Having said that………. I do feel sad for his kids. A ghost has left me in the lurch!